Divorce is a difficult experience on many levels: emotionally, legally, and often financially. Having the right attorney on your side can reduce all of these burdens. The Raleigh divorce lawyers at the Marshall & Taylor Law Firm, P.C., are committed to helping you understand your options and make the best choices for yourself. Call our offices at 919-833-1040. 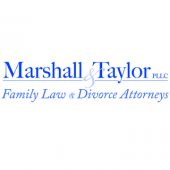 To learn more about divorce in Raleigh, or to speak with an experienced Raleigh divorce attorney, contact the Marshall & Taylor Law Firm, P.C., at 919-833-1040.